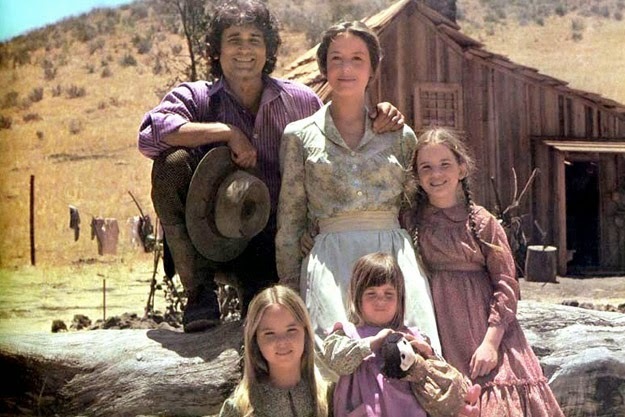 Somehow I found myself watching a video of a reunion for the cast of Little House on the Prairie as the remastered HD DVD's are being released. As a teacher, I loved the books, and the show was just good quality programming. During the video, I learned that more people worldwide are watching the show now than when it first aired during the 70s. 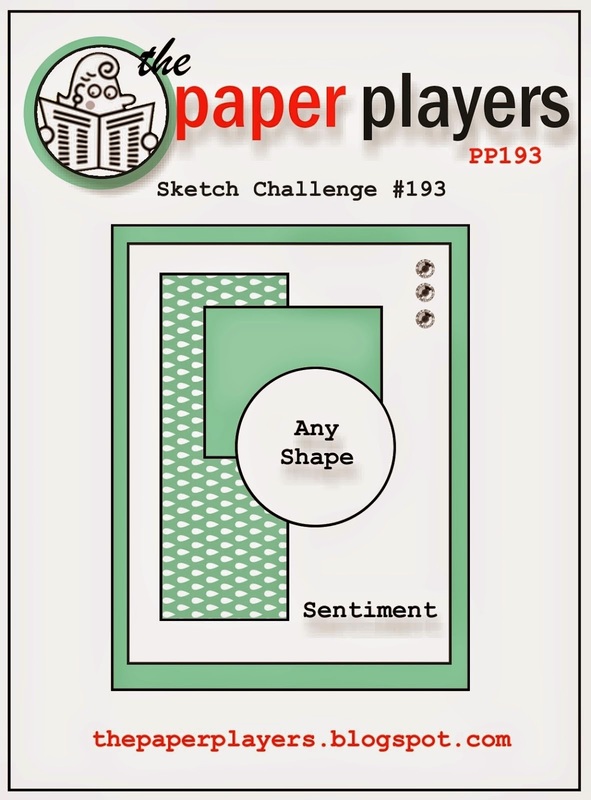 The show features pioneer americana and I obviously had that in mind when I tackled The Paper Player's Challenge #193 sketch challenge. As I matched up the colours on the palette with Stampin' Up! colours, I came up with Basic Gray, Smoky Slate, Sahara Sand, Raspberry Ripple, Real Red, Melon Mambo and Blushing Bride. Wow! What an assortment. But it seems to work! The two DSP panels are from Polka Dot Parade and Gingham Garden (fairly obvious which is which). I embossed the Sahara Sand panel using the Arrows Embossing Folder. I had this weak little Basic Gray sentiment on the bottom right, but the card didn't really pop! Then, as I was idly looking over my work table, I caught sight of the wooden sentiments left over from my March Paper Pumpkin (which I just finally got to last weekend) and I wondered if it would work. The colour of the wood was just too light for the palette so then I wondered if the Basic Gray ink would work on the wood. "Well, you won't find out by just wondering," I told myself, so I bravely stuck the wooden congrats right on the Basic Gray Classic Stampin' Pad and repeated several times until it was the darkness I was looking for. The ink dried well and didn't rub off so the experiment was a success! It's a bold look for sure! The flower contains all the red/pink shades punched out of regular cardstock using all four of our Scallop Circle Punches. I worked each one with the bone folder until I could separate the plies of paper and pull them apart, leaving a soft suede texture. I scrunched them and unscrunched them and held them together with an antique brad. The colourful flower nicely balances that big sentiment. And now I've gotta go, because the new Annual Catalogue is on-line for us demonstrators, and I'm in for a long night of feasting my eyes on all the new stuff! You have really got to become a demo because you could be staying up all night to look at new stamp sets, tools and accessories, too! What excitement! Tell me what you think is going to be in the new catty? *Retiring product, only available while supplies last. Oh my goodness, I love this big, bold flower Heather! 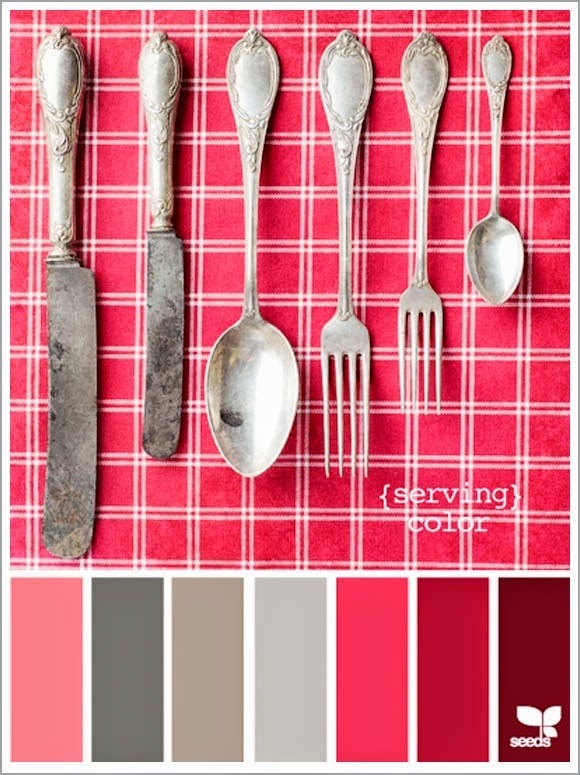 The gradient colors are gorgeous together and they really pop on the gingham and polka dots. So glad you joined us at The Paper Players!